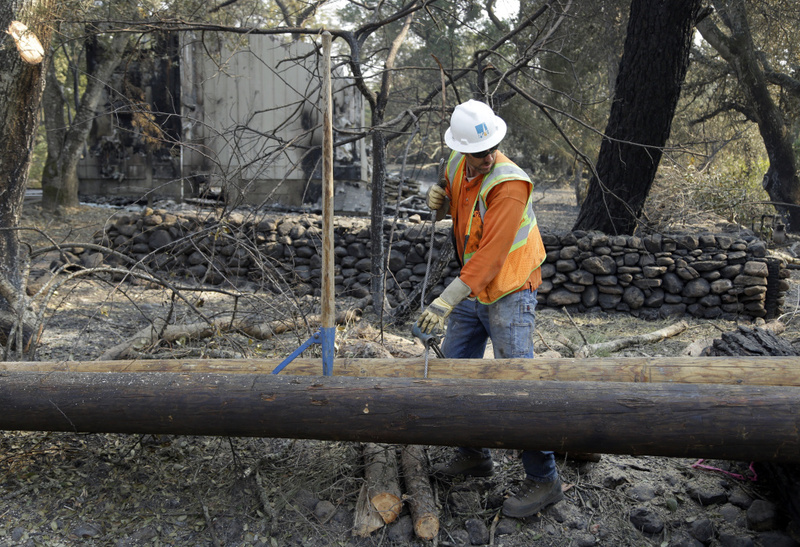 A PG&E worker replaces power poles destroyed by wildfires on Wednesday, Oct. 18, 2017, in Glen Ellen, California. The wildfires that have devastated California this month caused at least $1 billion in damage to insured property, officials said Thursday, as authorities raised the number of homes and other buildings destroyed to nearly 7,000. Both numbers were expected to rise as crews continue assessing areas scorched by the blazes that killed 42 people. State Insurance Commissioner Dave Jones said the preliminary dollar valuation of losses came from claims filed with the eight largest insurance companies in the affected areas and did not include uninsured property. 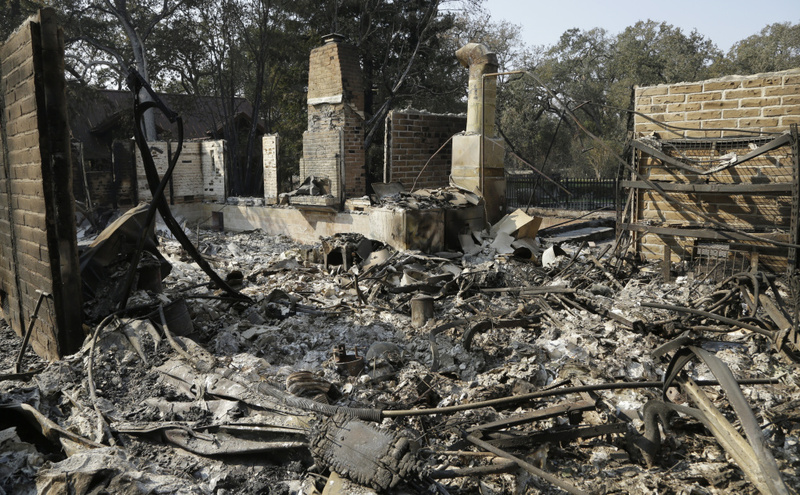 Remains of a home destroyed by wildfires seen Wednesday, Oct. 18, 2017, in Glen Ellen, California. The loss total was expected to climb "probably dramatically so," he told a Los Angeles press conference. The initial insurance total covered 4,177 partial residential losses, 5,449 total residential losses, 35 rental and condominium losses, 601 commercial property losses, more than 3,000 vehicle losses, 150 farm or agricultural equipment losses, and 39 boats. The estimate of homes and structures burned was boosted to 6,900 from 5,700 as fire crews returned to hard-hit neighborhoods and assessed remote and rural areas they could not get to earlier, said Daniel Berlant, a spokesman with the California Department of Forestry and Fire Protection. He said most of the newly counted destroyed buildings burned on Oct. 8 and Oct. 9 — when the wildfires broke out in Northern California's wine country and other nearby areas. 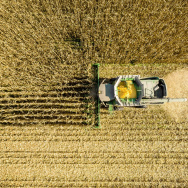 "The estimates are in structures and are mostly homes, but also includes commercial structures and outbuildings like barns and sheds," Berlant said. 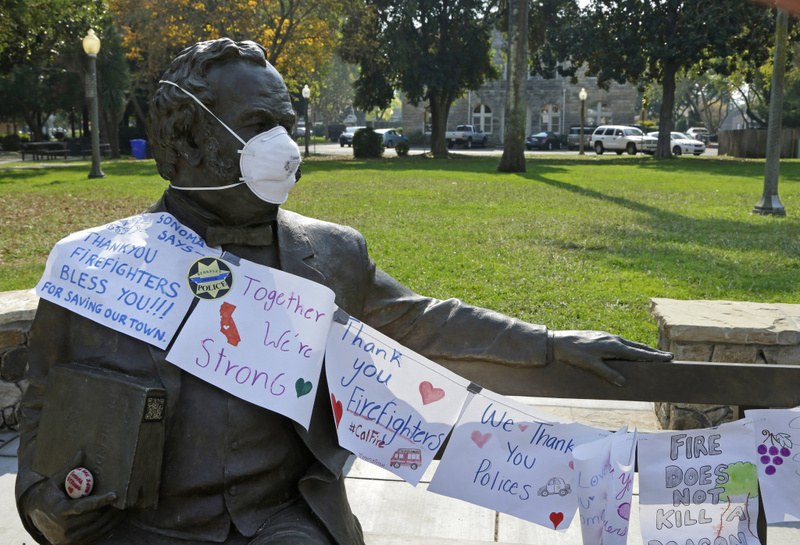 A statue of General Vallejo with a mask on his face as well as notes of thanks to fire fighters is seen in Sonoma Square on Wednesday, Oct. 18, 2017, in Sonoma, California. Twenty two of the 42 deaths in California's October fires happened in a Sonoma County wildfire, making it the third deadliest in California history. A 1933 Los Angeles fire that killed 29 people was the deadliest, followed by a 1991 fire in Oakland that killed 25. California Gov. Jerry Brown late Wednesday issued an executive order to speed up recovery efforts as fire authorities say they've stopped the progress of wildfires. 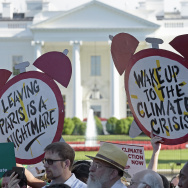 Tens of thousands of people have been allowed back home but more than 15,000 people remain evacuated Thursday, down from a high of 100,000 last Saturday. A firefighter monitors a wildfire near Boulder Creek in the Santa Cruz mountains of Northern California in this Oct. 17, 2017 photo. 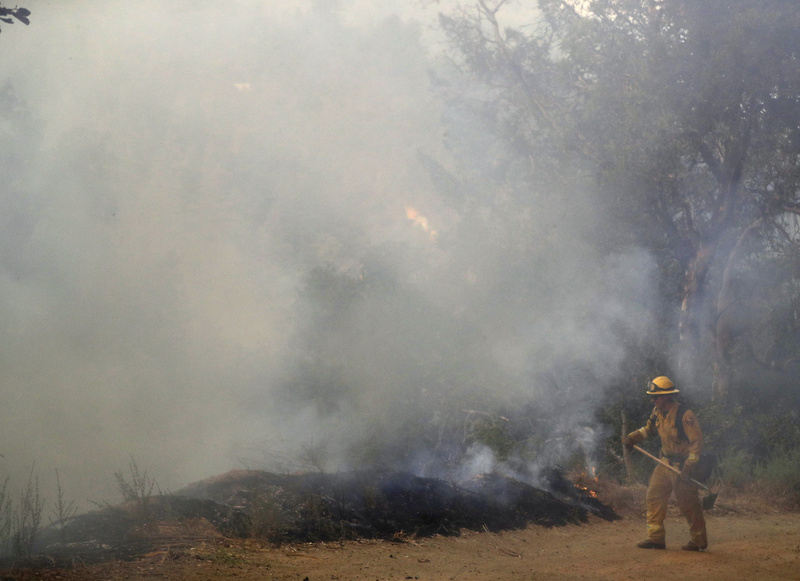 In Los Angeles County, authorities said a charred body was found on Mount Wilson, where crews were trying to surround a smoldering wildfire in steep terrain. The male body discovered late Wednesday was recovered by the coroner's office, which will try to identify it, said Sheriff's Sgt. Vincent Plair. California firefighters were also battling a blaze that sent smoke billowing into the college beach town of Santa Cruz. The wildfire in steep and rugged terrain had grown to nearly half a square mile and the number of houses threatened by the fire had doubled to 300. Several firefighters suffered minor injuries.